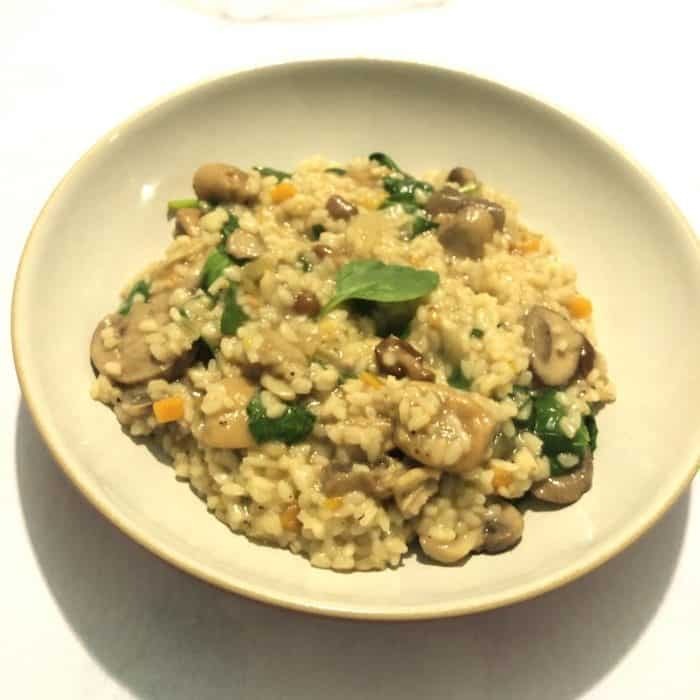 Instant Pot Mushroom Risotto (Slimming World Syn Free)…. 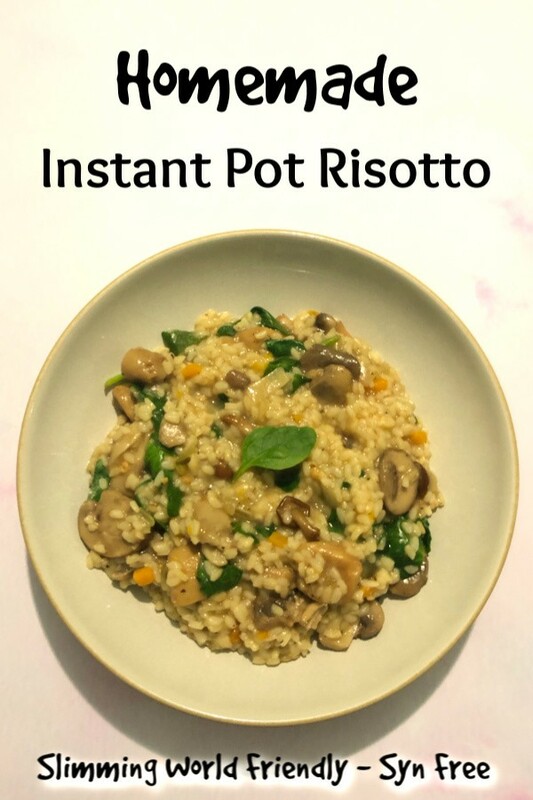 This recipe for Instant Pot mushroom risotto is my new favourite meal! 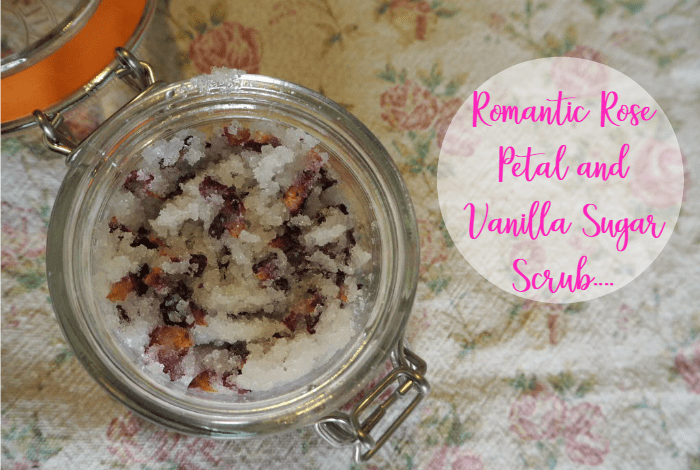 * It’s super tasty, super cheap, easy to make and as if that wasn’t enough, it’s also syn free so perfect for anyone following Slimming World. 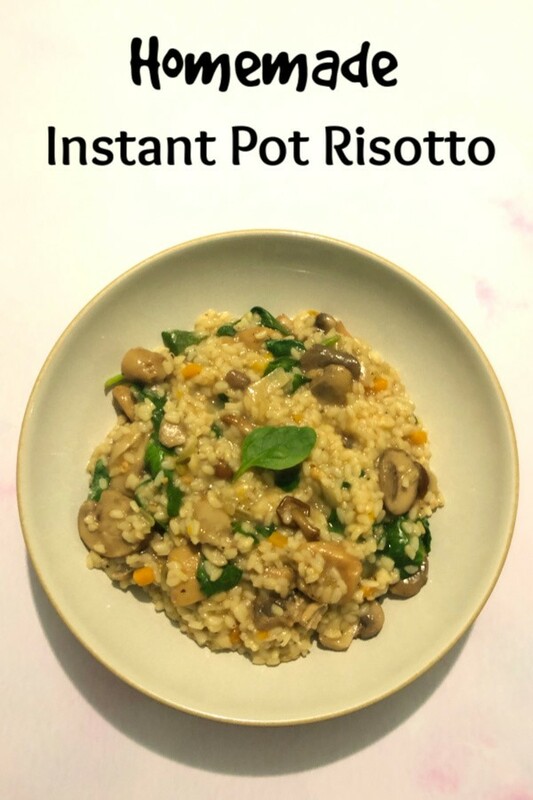 Every time I share an Instant Pot recipe on here or over on Instagram, someone asks me what an Instant Pot is and I promise I’m going to write a post about it but basically it’s a pressure cooker that also moonlights as a slow cooker, a rice cooker, a steamer, a yoghurt maker with saute and keep warm functions. I got mine from Amazon on Black Friday for £79.99 but it’s usually somewhere between £99.99 and £119.99 and it’s brilliant for someone like me who struggles for time on an evening. 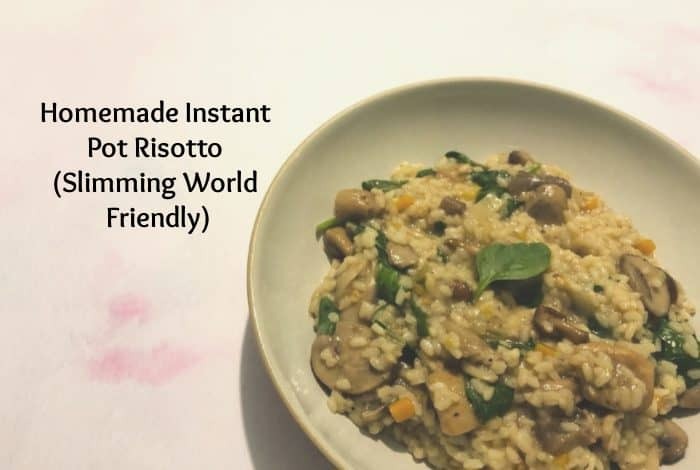 This risotto, for example, took no time (or effort) at all and is easily something that any of the kids could whip up if I need help. This makes two good sized portions. Set the Instant Pot to the Saute function and saute the onion, carrot and garlic for 3 minutes. Add in the mushrooms and saute for another 3 minutes. Add in your cup of rice and cups of stock – it doesn’t matter if you use an actual cup measurement or just a normal coffee cup because the main thing is that the quantity of liquid is double the quantity of rice. I can’t think of the right way to word this step but you know when you saute things and some of it kind of caramelises on the base of the pan and goes brown (not burnt just brown). Use a wooden spoon or spatula to mix this into the stock. I hope that makes sense. Pop the lid on the Instant Pot and set it to Pressure Cook for six minutes, making sure your little switch on the lid is set to ‘Sealing’. After six minutes, I do a quick pressure release rather than let the steam be released slowly as I don’t want the risotto to overcook. 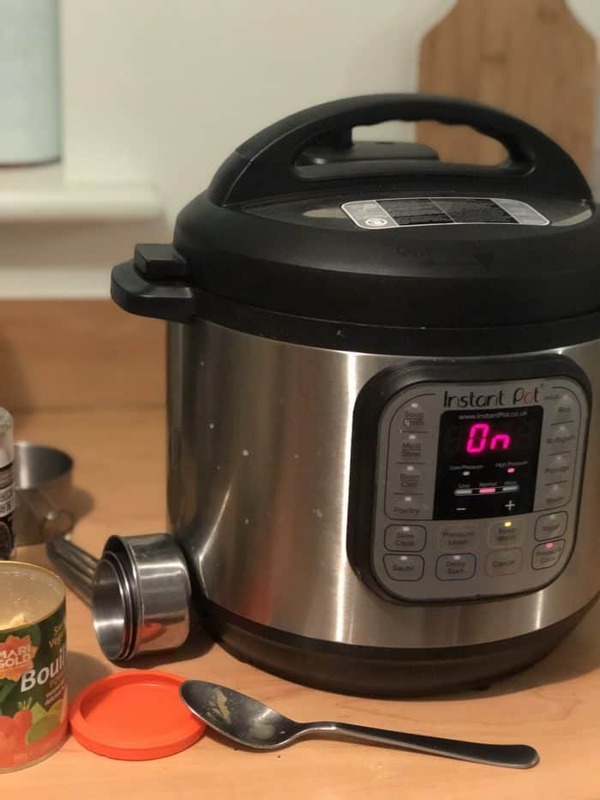 There’s a fab explanation here of when (and how) you would use a quick pressure release on the Instant Pot. Tear the spinach a little bit and then stir that into the risotto.